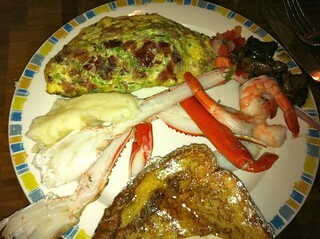 Four lunch buffets in four days at Aria, MGM Grand, and Monte Carlo in Las Vegas from June 6-9, 2011. 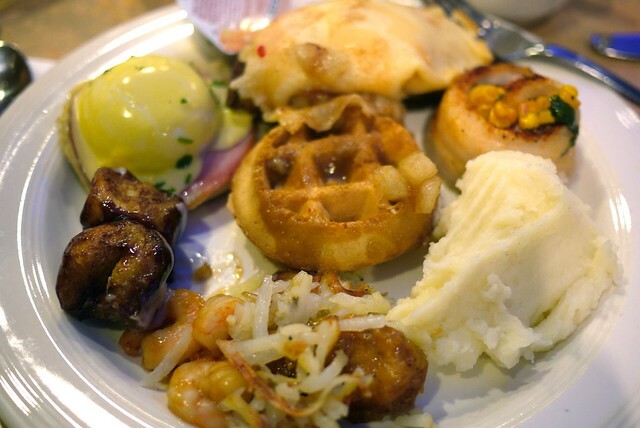 On my stay in sin city, my hotel gave me ten free breakfast or lunch buffet vouchers good at any of the MGM Grand network of hotels. Therefore, I ate a lot. 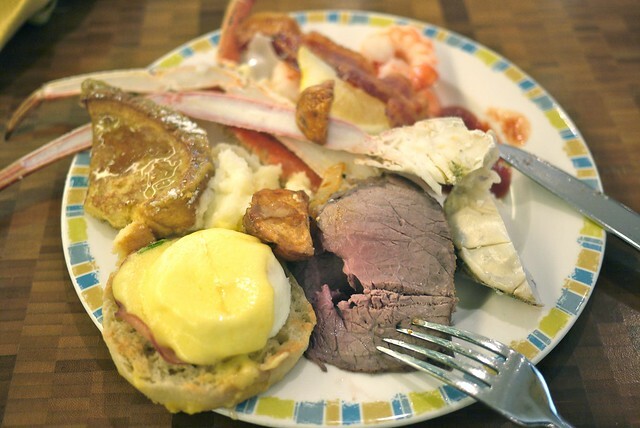 I ate lunch buffets for four days straight trying The Buffet at Aria (twice), MGM Grand Buffet, and the Monte Carlo Buffet. I think Aria was the best of the bunch with their nice mixture of staples, ethnic foods, and seafood. They had tons of crab legs and big cocktails prawns. 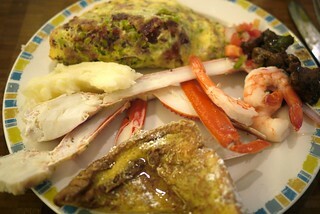 Their omelette bar was also superb. 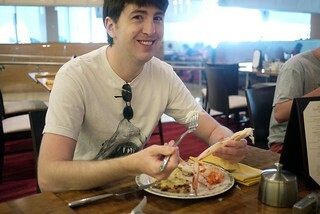 I was disappointed by MGM Grand with an odd selection and mishmash of foods and a mediocre taco bar. 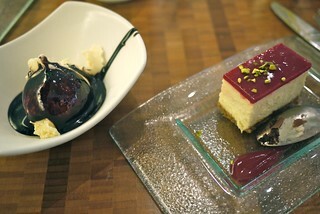 My favourite part of buffets is usually the dessert bar and this was no different. 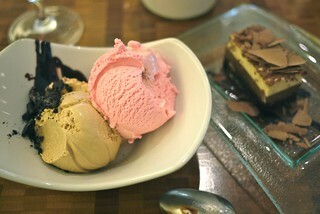 I was pretty happy with the gelato stations at Aria and MGM Grand. Aria even had a full sundae station. MGM and Monte Carlo had vanille and chocolate soft serve which I also greatly enjoy. Monte Carlo had a nice pie and cake collection as well. 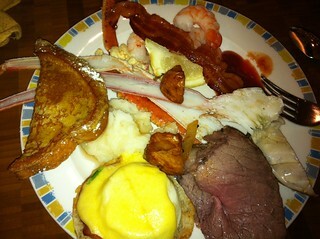 The Monte Carlo buffet was okay. The best part was the omelette bar where you pick the ingredients yourself into a dish as the cook makes it for you there. It was only slightly different than the others, but felt a tad more bland. 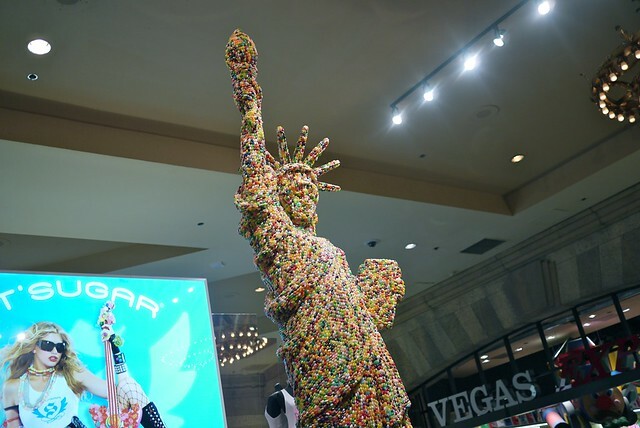 Speaking of food, I thought this Statue of Liberty made of jelly beans at New York, New York was pretty cool. 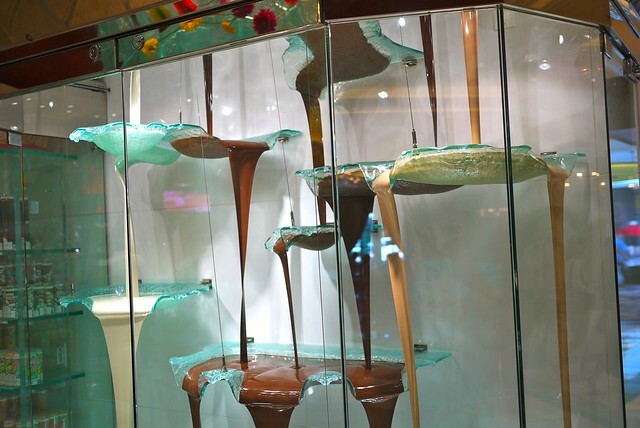 Jean Philippe Pâtisserie at Bellagio was a tourist's treat with a full cafe with so many goodies, cakes, pastries, candy, and even lunch items. The open, glass chocolate station was pretty marvellous too.